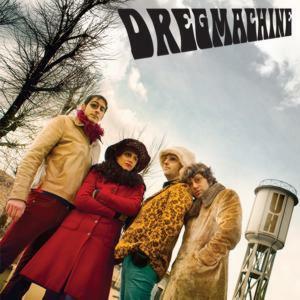 The Dreg Machine band was formed in the Spring of 2011, incorporating into the group John Amato (presently guitarist with the legendary Barbieri, ex B-Back and Quarrymen), Zara Thustra on bass (ex Skum and B-Back), Hollerin'Killer Dupree on guitar (a.k.a. Frank Croco, ex B-Back, Modern Gloves and Hobbes) and Ben Fox on drums (ex Hobbes and Modern Gloves). 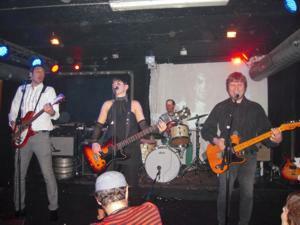 The band's initial instinct is that of recreating a garage-punk sound through the use of various well known and lesser known cover bands, a pursuit that inevitably leads to the creation of original compositions that manage to recreate the atmosphere typical of garage and psychedelic music of the early'60s. Having already played together in other groups throughout Italy and around Europe (Germany, France, Holland) allows the band to begin immediately with gun-cotton performances embellished with penetrating guitars, fuzz, enveloping bass and explosive rhythms that allow your mind to wander while jumping and non-stop dancing.